This entry was posted in maaloo Geocaching, News, Update by maaloo7. Bookmark the permalink. Have you planned to add support to Navigation with Here Drive to the go button? I have lot of troubles with here maps. I have downloaded here maps of my country. Positioning service on. 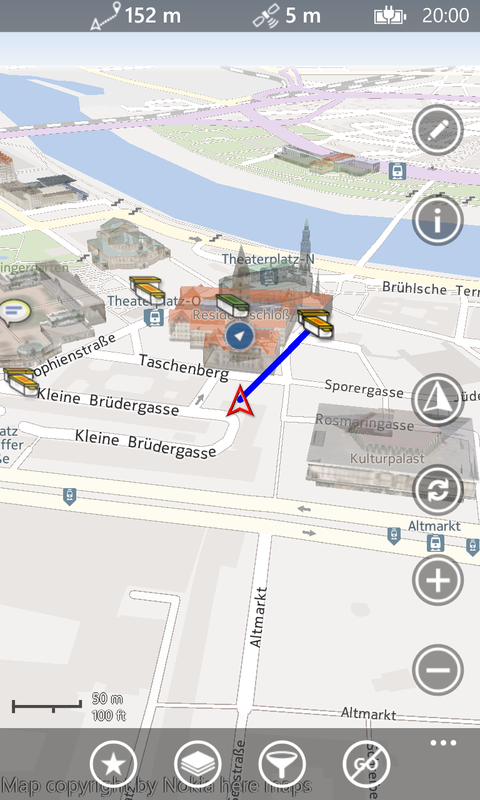 -) go to download, map section. Standard map now selected. Map not renderized or partially renderized. Now, if i enable wifi and re-open maloo, select here road and Go on the cache, the map is renderized, by using the wifi. Sometimes the GO button on the cache is disabled. Usually this happens when you have already pressed GO on that cache. Pressing GO doesn’t mean i have found the cache! The dowload button is not intended to select the map for usage as map provider for the map. The selection in the download page will only be remembered if you really download a map area, which is only possible for none Here-maps (OSM-maps). Otherwise the selection is temporary just for the moment, like if you select an item from a drop-down list on PC and cancel the dialog window, this selection will also not be reselected after re-open the dialog. You must select the Here Road map from the map > Layer > Map > Here Road > OK.
To solve your first two “bugs”, just select the map provider in the map. If you have selected the cache as target already, the GO-button is not enabled, because the cache is already the target for map. To log your found you must press the edit-button with the pencil-icon. Oh! I understand! Now i can buy maaloo! Perfect! HERE Maps – that’s surprise for Lumia users 🙂 Thanks. sugg. : dark theme to choose in next vesrions? Danke, das war wirklich so nötig und schlägt so viele Fliegen mit einer Klappe! I have tested the new version for som hours. Very good with the Here maps, fast and easy for off line. But I miss google hybrid map because the satellite mode in Here maps are very bad and not OK for geocaching. I have trided to have google hybrid as user defined map but can’t get the map provider settings to work.